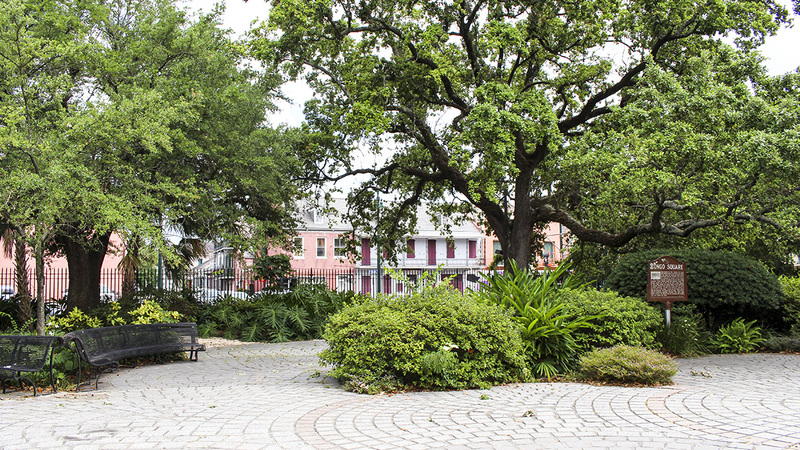 Consisting of three acres, this public square lies just outside of the Vieux Carré’s northwestern boundary, and is comparable in size and on axis with Jackson Square. Many names have been associated with the square throughout its history, including Place des Negros, Place Publique, Place Congo, Circus Place, Place D’Arms, and Beauregard Square, each reflecting a distinct role the space has played. 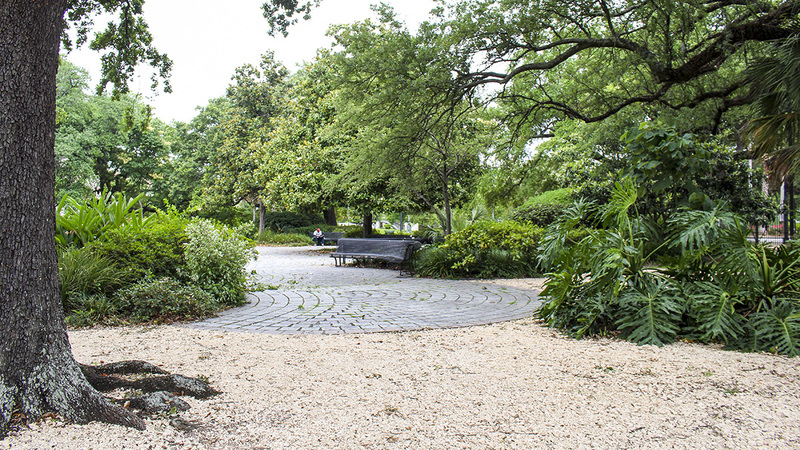 Beginning in the late 1740s, the site originated as a social and cultural meeting ground for the city’s enslaved African American population. 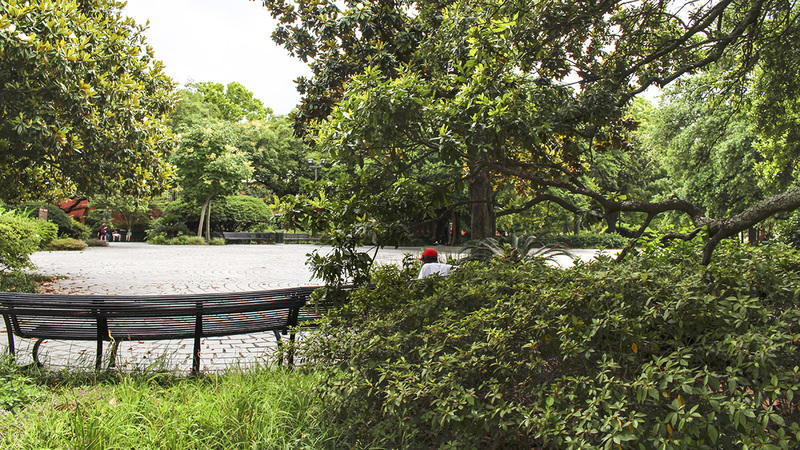 In 1817, legislation was passed which permitted enslaved African Americans to meet for dancing on Sundays in Congo Square. Continuing until the 1840s, locals and visitors alike traveled to see the drumming and dancing of the “Bamboula,” “Congo,” and “Flat-Footed-Shuffle,” often celebrated by 500 to 600 African Americans. Further, documented uses for the square include gatherings to promote women’s rights in the mid-1800s, and as a venue for circus shows in the late 1800s. 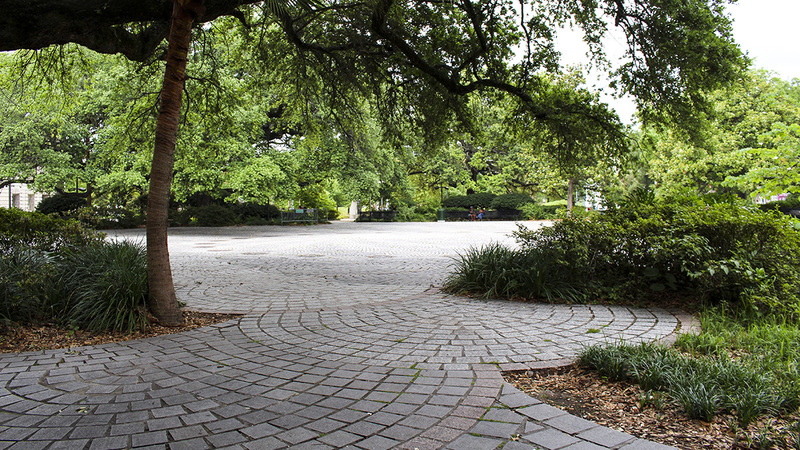 In the 1970s, Congo Square was redesigned by architect and urban designer Robin Riley, who concurrently designed the adjacent Armstrong Park. 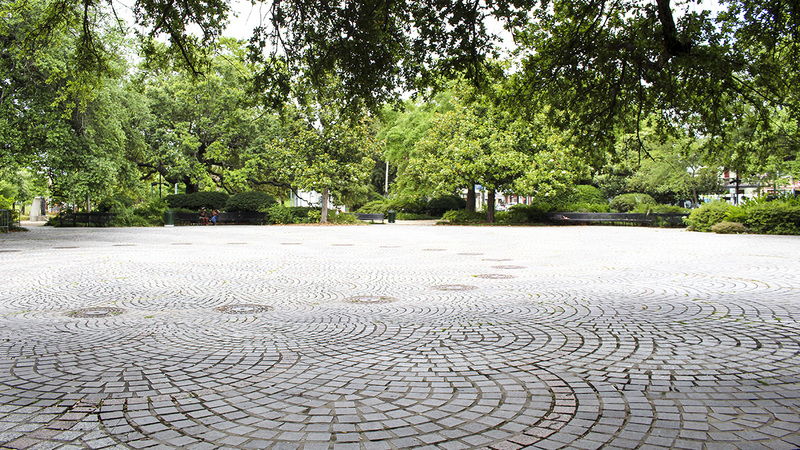 The current layout is similar to the historic one, with 1820s accounts describing it as being “planted with trees, and inclosed.” Granite cobbles laid out in a fan design radiate from the center, creating a spiral of light and dark gray tones; individual cobbles and fans grow in size while moving outward. The pattern is evocative of the circular dances and boisterous music that once permeated the Vieux Carré from this location. 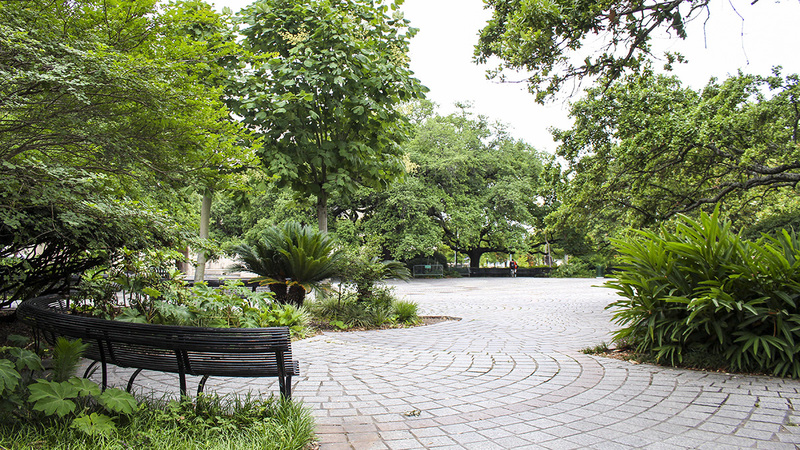 Plantings of lush vegetation, including canopies of mature live oaks, southern magnolias, and palms, envelop the center plaza while shading gravel pathways and spaces for seating along the periphery. Today, the square is used for cultural events and music festivals. The site was listed in the National Register of Historic Places in 1993.